Whether you are organising a corporate team building activity, your best friends hens party, your partner's birthday or even a friendly Christmas party, we have got you covered! 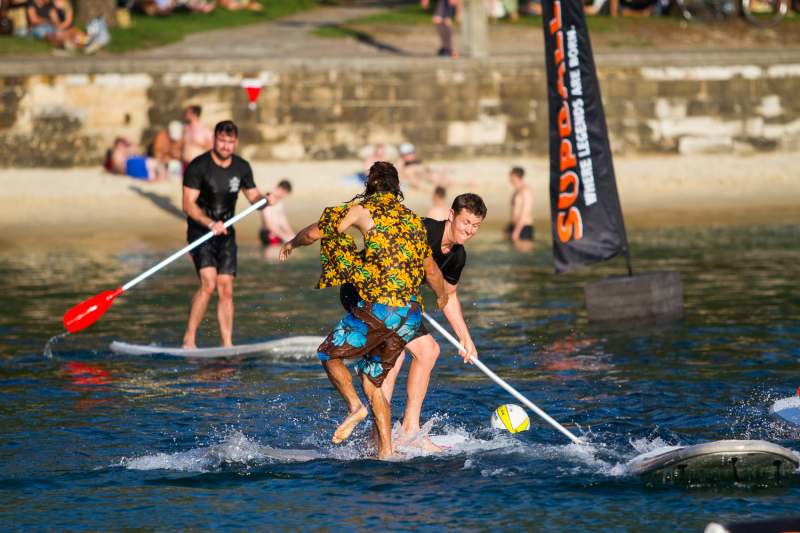 SUPBALL takes flat water paddleboarding to a whole new level. It is an activity that is guarunteed to get you laughing. SUPBALL is challenging and fun, promoting team work, strategy and overall fitness. Book the court and play a game amongst yourselves with General Hire, organise a SUPBALL Lesson with one of our experienced instructors or take the competition to the next level and let us organise a SUPBALL Tournament for your group! SUPBALL activities are available 7 days a week. One of our skilled instructors will take you through the basics of paddle boarding then onto the rules and strategy of SUPBALL. Following the lesson you will have the opportunity to put into practice what you have learnt in a friendly (or competative!) game. If your group would like to come down and play a game amongst yourselves all you have to do is book in your SUP hire with us and we will set a court up for you free of charge! Please note: this is only a booking request, not a confirmed booking. We will get back to you as soon as possible to secure your booking.